What's Spring without a bit of fun print? Try mixing prints this season for a fresh remix to commonplace color-blocks and expected nautical stripes. Here's a perfect shoe to start with from Dolce and Gabbana. 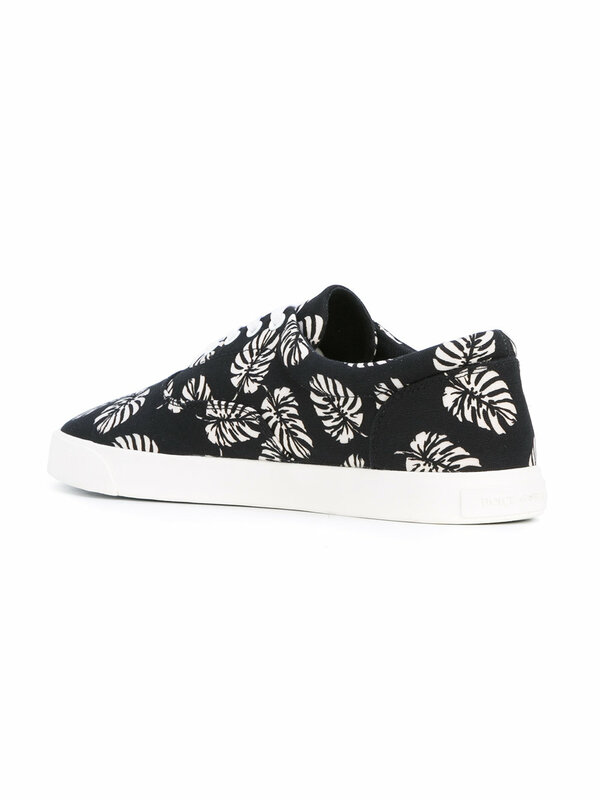 Their Jazz Club Print Sneaker is a cool pair of black canvas kicks donning a leaf motif in white which plays up nicely against the white rubber sole. 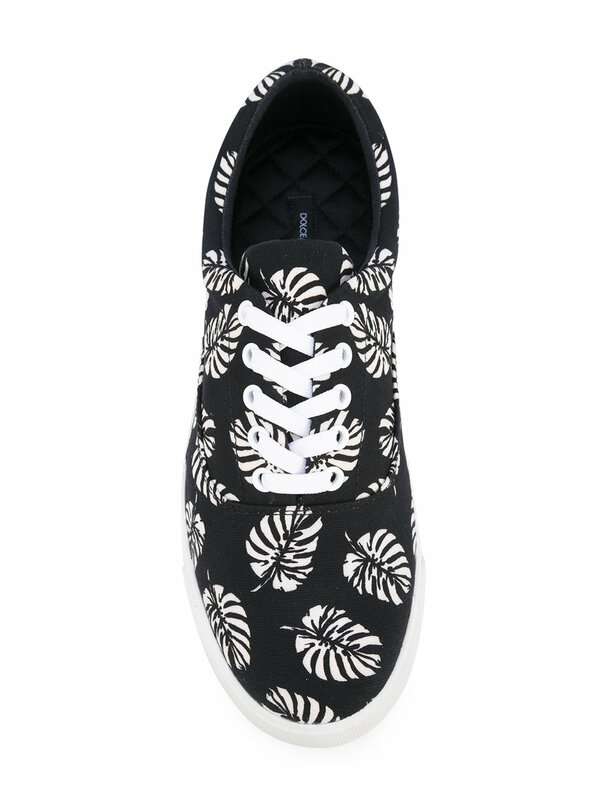 Pair this with solids, stripes, dots, plaids or even other prints in black and white or even in color for a fresh take this season. Available now at FarFetch.com.